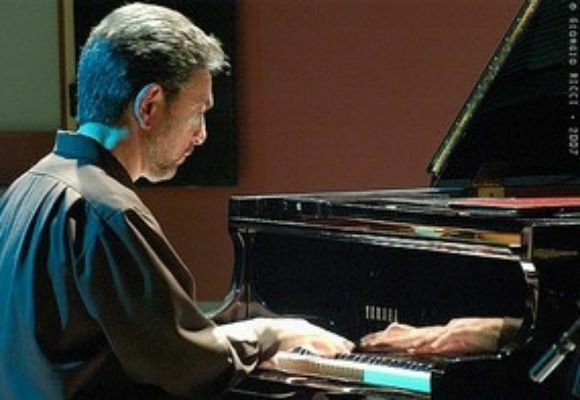 Pianist Mike LeDonne was born in Bridgeport Connecticut in 1956. He was raised in his parent's music store and by the age of 10 his father, a jazz guitarist, began booking him on gigs. At age 21, Mike graduated from New England Conservatory and moved to New York City with the Widespread Jazz Orchestra. In 1981, he left Widespread to travel to the UK with Panama Francis and the Savoy Sultans. On returning, he began a two-year stint as the house pianist at Jimmy Ryan's, then one of New York' s oldest jazz clubs. It was there that he came under the influence of and played with many old masters such as Roy Eldridge, Papa Jo Jones and Vic Dickenson. He spent 1982-1983 with the Benny Goodman sextet and went on to play with Buddy Tate, Al Grey, Ruby Braff and many others. Later he worked with the Art Farmer-Clifford Jordan Quintet, went to Paris with Grady Tate, and played with James Moody, Dizzy Gillespie, Stanley Turrentine, Charles McPherson and Sonny Rollins. He also spent time as accompanist to singers Ernestine Anderson, Annie Ross and Etta Jones. In 1988 he started playing with the Milt Jackson Quartet (along with Mickey Roker and Bob Cranshaw). Mr. Jackson recorded Mike's compositions and arrangements. Mike also became the band's musical director. In the fall of 1992, Mike was chosen to be part of a group of top young musicians for the Phillip Morris Superband World Tour. Mike served as musical director for that group, which featured Ryan Kisor on trumpet, Joshua Redman on tenor saxophone, Jesse Davis on alto saxophone, Christian McBride on bass and Lewis Nash at the drums. Around this time, Mike toured with the Newport All-Stars in lineups that also featured Harry "Sweets" Edison and Clark Terry. Mike has been playing and recording with Benny Golson since 1997. He has also been leading trios which have included Ron Carter, Jimmy Cobb, Billy Hart, Pete LaRoca and Louis Hayes. Most recently, he has worked with Bobby Hutcherson. Mike has played concerts and clubs around the world since 1981. Along with his many recordings as a sideman, he has five CDs on Criss Cross Jazz and three on Double Time Records. The first two, 'Bout Time and The Feeling of Jazz are quintet projects with Tom Harrell, baritone saxophonist Gary Smulyan, bassist Dennis Irwin and drummer Kenny Washington. His third CD, Common Ground is a trio recording and also features Irwin and Washington. The fourth CD, Soulmates, includes Ryan Kisor, Joshua Redman, and Lewis Nash, with Peter Washington on bass and Jon Gordon on alto saxophone. 'Bout Time was one of the recordings selected as "Record Of The Year" in the 1989 Jazz Journal Critics Poll. The Feeling of Jazz was chosen as one of the "Top Ten Records of 1991 " in the Jazz Times' Critics Poll. Soulmates came in second in the "Best 12 Recordings of 1994" WBGO Poll (WBGO is the leading jazz radio station in the New York area). Waltz For An Urbanite features vibraphonist Steve Nelson and guitarist Peter Bernstein, along with Peter Washington and Kenny Washington. Waltz For An Urbanite won "Record Of The Month" in its first month of release on WBGO in Newark. Mike's sixth CD, To Each His Own, is on the Double Time label. It's a trio featuring Peter Washington and Mickey Roker on drums. This disc received four stars in a Downbeat review. Mike's seventh CD Then And Now, also on Doubletime, is a quintet recording featuring Eric Alexander on tenor sax, Jim Rotondi, trumpet, Peter Washington on bass, and Joe Farnsworth on drums. The latest CD Bags'Groove, is a tribute to Milt Jackson which features Steve Nelson on vibes, along with Jim Snidero on flute, Steve Wilson on alto flute, Jim Rotondi on flugelhorn, Steve Davis on trombone, and a rhythm section including Bob Cranshaw and Mickey Roker. This CD also received 4 stars in Downbeat magazine. Mike is the co-author of Jim Snidero's Jazz Conception for Piano and Piano Comping books, on Advance Music. In Sept. In 2002 Mike joined the faculty at the Juilliard School of Music. He has won praise not only from critics but from master musicians: Oscar Peterson picked him as one of his favorite pianists of today.